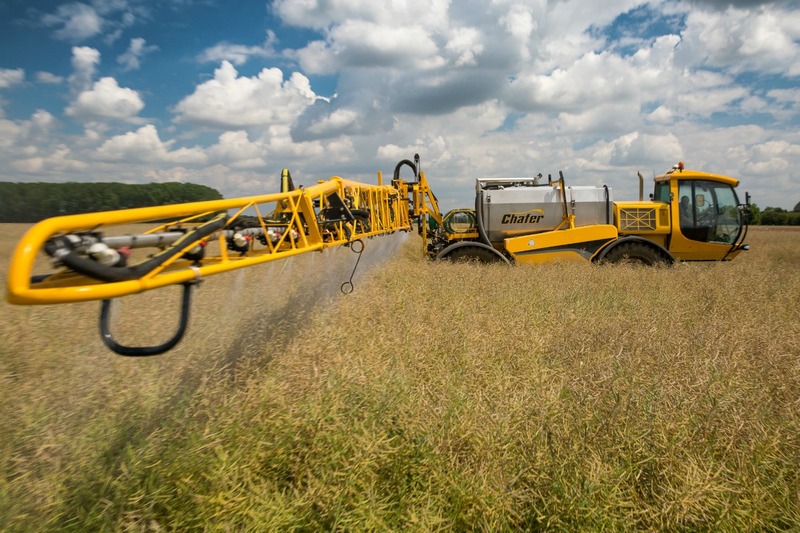 Glyphosate is unlikely to cause cancer in humans, according to the European Food Safety Authority (EFSA), which proposed higher limits on Thursday (12 November) on the amount of residue of the weedkiller deemed safe for humans to consume. The EFSA advises EU policymakers and its conclusion could pave the way for the 28-member European Union to renew approval for glyphosate, which was brought into use by Monsanto in the 1970s and is used in its top selling product Roundup as well as in many other herbicides around the world. Environmental groups have been calling for a ban after the International Agency for Research on Cancer (IARC), part of the World Health Organisation, said in March that glyphosate was “probably carcinogenic to humans”. The EFSA said it had carried out a thorough analysis and taken account of the IARC’s findings. “This has been an exhaustive process — a full assessment that has taken into account a wealth of new studies and data,” said Jose Tarazona, head of the pesticides unit at the EFSA, based in Parma, Italy. The EFSA is proposing a limit on the maximum safe daily dose over a period of time, of 0.5 milligrams per kilogram (kg) of body weight. It is also proposing a new acute limit, of the same level, for a single intake of glyphosate over a short period, for instance in one meal. The previous EU evaluation had set an acceptable daily intake (ADI) of 0.3 milligrams per kg of body weight per day. The scientists say an 80-kg (180-lb) person could eat food containing a residue of 40 milligrams of glyphosate per day for the rest of their life. Monsanto said that was the equivalent of eating 400 kg (900 lbs) of fruit or vegetables a day. EFSA scientists, who worked with experts from EU member states, said their study differed from the IARC’s in that it considered only glyphosate, whereas the IARC had assessed groups of related chemicals. They said the toxic effects could be related to reactions with other constituents. But Greenpeace called the EFSA’s report “a whitewash”. Monsanto and other users of glyphosate, which is widely used by farmers, welcomed the report. “It confirms the previous evaluations of glyphosate by regulatory authorities around the world, which have consistently concluded that the application of glyphosate poses no unacceptable risk to human health, animals or the environment,” Richard Garnett, chair of the Glyphosate Task Force, said in a statement. Commission spokesman Enrico Brivio said the Commission took note of the report and that EU regulators now had until June next year to take a decision. The Pesticide Action Network Europe, an environmental campaign group, said the EFSA opinion violated the precautionary principle. "EFSA only concludes to adverse effects in case of overwhelming evidence; in case of doubt they give the advantage of the doubt to industry instead of giving priority to the protection of human health and the environment,” said Hans Muilerman, Chemicals Officer at PAN Europe. PAN Europe said EFSA’s work is "a copy of the German Government agency BfR’s assessment and the pesticide industry dossier compiled by the Glyphosate Task Force, hiding and misinterpreting the tumour incidences from experimental studies. This opens the road to the re-authorisation of this dangerous pesticide in the EU, which was recently classified as 'probable human carcinogen'". In the European Parliament, the Greens were equally dissapointed. "There is a sad predictability about EFSA's decision to play down the risks associated with glyphosate," said Martin Häusling, the Green's agriculture and public health spokesperson. "The finding that glyphosate is probably carcinogenic to humans by the WHO should be leading to a global moratorium on its use. However, the industry lobby has been actively sowing seeds of doubt to maintain its products on the market, at the expense of human health. The ground for today's EFSA opinion had already been laid by the German risk assessment authority." "This whole saga again raises serious questions about the flawed risk assessment procedure employed by EFSA, notably as regards its reliance on industry-supplied data, which necessarily skews its findings. There is a need to reform this to reduce the potential conflict of interest. Until this is done, the Commission [should] not continue to approve substances for which there is evidence of risks to human health."